This past summer, Blizzard added a limited time event to their team-based shooter, Overwatch, that was inspired by the ever-popular Rocket League. The event was a way to celebrate the Summer Olympics and even featured new skins, sprays, and other items to collect. They've got a similar celebration underway for Halloween only this time, the new mode is a Horde mode based event. Dubbed "Junkenstein's Revenge," up to four players can team up to battle against waves of enemies and bosses. The one catch here is that you won't be able to play this mode with just any Overwatch character you want, you're limited to just Ana, Hanzo, Soldier: 76, and McCree. Even if you can't play as your favorite toon, you can still unlock some new appropriately themed items for them. 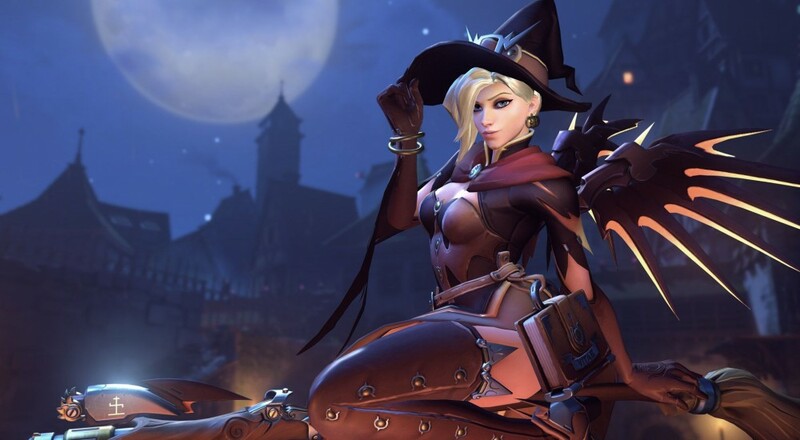 All of the in-game loot boxes, either earned or purchased with real-world money, have been replaced with special jack o' lantern boxes that contain the new Halloween-themed skins, sprays, highlight intros, emotes, and more. This special mode and event last until November 1, 2016, so you've got a little bit less than three weeks to get in there and fight off Dr. Junkenstein and his "zomnic" hordes before it all comes to an end.